Presale start + ticket information for our fans! Presale start: Monay, 10th oct 2016 at 10:00am. As soon as the realy bird ticket contingents are sold out, normally priced tickets will be available next to a limited 6-friends ticket (at a cheaper price). We are happy to present you a completely new ticket store along with the presale start. It offers you some advantages, for example to log in as a guest or directly via your Facebook account, without having a customer account. 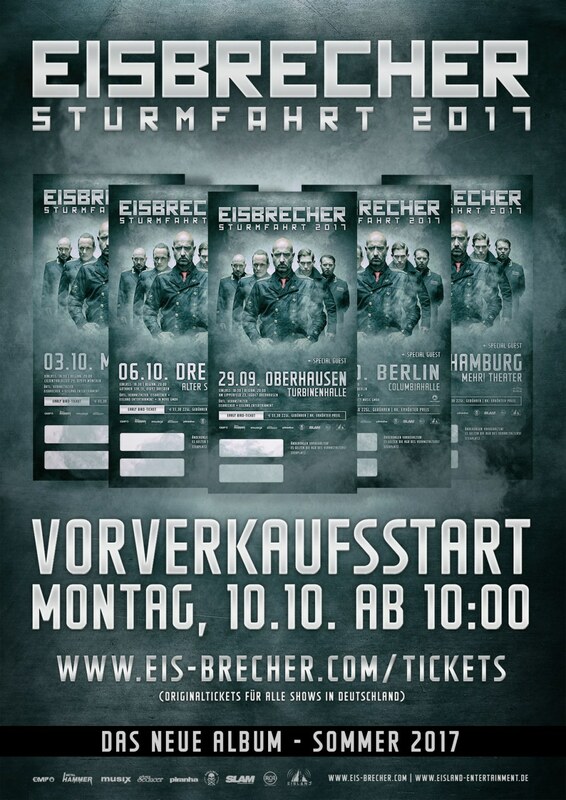 If you are interested in having a customer account for the Eisbrecher store, you can register under www.eis-brecher.com/tickets from now on. A quick order and delivery from Monday, 10th Oct 2016 on should then be guaranteed. Presale start: Monday, 10th oct 2016 at 10:00am. EISBRECHER announce new album + tour for 2017! EISBRECHER will be prepared to ride it with their upcoming „Sturmfahrt“ tour in autumn 2017. In summer 2017 they are already to release their next studio album – the follow-up to their most successful work to date, „Schock“. 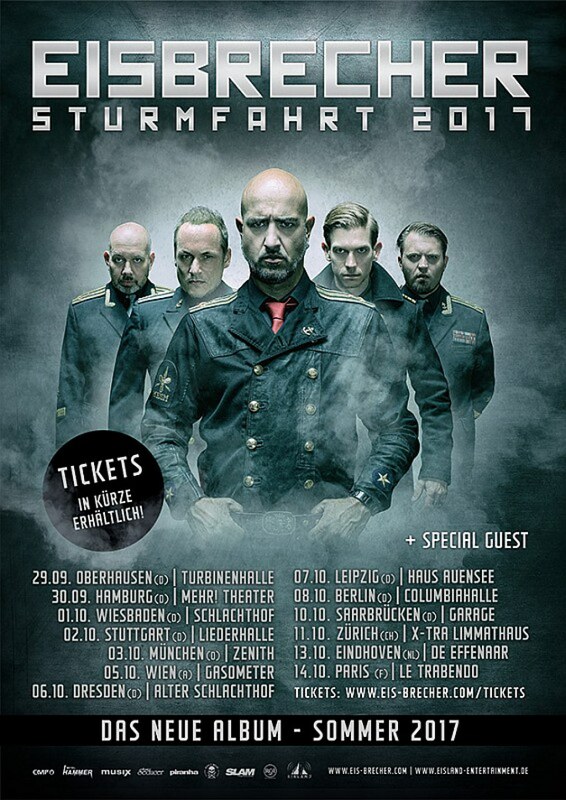 Pre-selling for the great „Sturmfahrt“-tour begins shortly. First there will be a contingent of early bird tickets available – additional info about them shall be announced in a few days. What we already know for sure: 2017 is gonna become very, very cold – with lots of surprises waiting for the ice(breaker)-world! After the success of the VKV Tour you'll have the chance to see us at a few selected festivals in europe in summer!